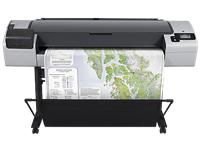 HP Designjet plotters new and refurbished at the best price. All new and refurbished plotters comes with a full warranty and free technical support. 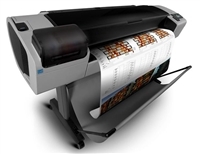 We offer the best prices on new and refurbished HP Designjet plotters. If you are wanting a high quality refurbished plotter look no further. We specialize in HP Designjet printers and offer full warranty on all our high quality products. Free Technical support is always included. Please contact us at 512-293-6182 if you have any questions. Brand New HP Designjet T1300 44" PostScript ePrinter. We will beat any price guaranteed!